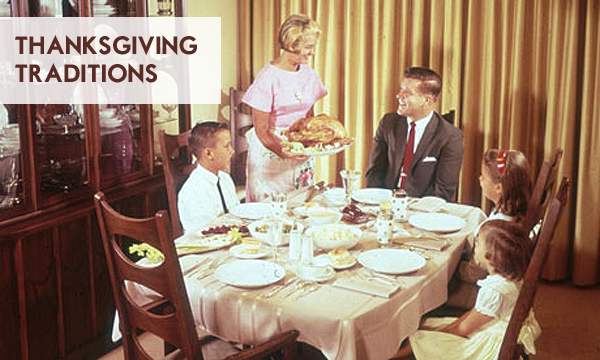 Thanksgiving Traditions can look different to every family or individual person. Each and every persons roots derive from different areas of the world. Enjoy as I take you on a journey to discover Traditions! Two of Thanksgiving Biggest Traditions are Parades and American Football. In ancient Harvest Festivals, people usually Celebrated with games and sports. That's right, Football has deep roots in Tradition! Thanksgiving Parades go back to the 20th century. I mean Macy's 87th Thanksgiving Parade is just around the corner. Another great Tradition is getting together with friends and family while spending some time Volunteering at different organizations. Soup kitchens and Homeless Shelters always need Helping hands during this special time of year. Did you know in 1947 the National Turkey Federation started giving the White House a living turkey? Yes, this turkey gets pardoned by the President of the United States! It lives it's remaining days in luxury at a nearby Petting Zoo. I hope you enjoyed stepping back in time with me and learning where just a couple of Our popular Traditions came from. Enjoy making new ones with your family and friends! But most of all remember to Give Thanks. I love Thanksgiving probably my favorite holiday as of the last few years though it's gotten lonely just my little family. My mother in law will be here this year though also a first really hope I cook the turkey right! I love Thanksgiving! It's a mostly stress free day full of good food, family, football, and naps!!! We watch the parade and go to one! Lots of Turkey. And overwhelming sense of Thanks. Our first weighted blanket is arriving today. Here's hoping we'll be thankful for some Long Winter's Naps! So grateful to have found your store. Thankful for my girl's new blanket! She loves it. We are trying something new this year. A quiet, JUST US Thanksgiving dinner. No running around and having the kids get rambunctious! I was taught to find something to be thankful for each day. I have to admit i love thanksgiving . Having family close laughing nomatter what. I enjoy Thanksgiving in our family. It is laid back and all generations getting together which I believe is a good thing. It also happens to be my husbands birthday!! New blended family traditions to start forbus, we can't wait to see what is in store with 5 special kiddos in the mix and a whole lot of love! Love this time of year with all the traditions! Love being with family this time of year, and watching the parade with my kids. I've recently started following your blog and I wanted to thank you for making one! Thanksgiving is a great time for all the family to gather for food, football, and a rare chance to smell the roses together. Very rejuvenating. I have a lot to be thankful for this year. A rekindled love that has led to a wonderful and caring re-marriage to a incredible man who has embraced both my sons, and has learned everything he can about autism to help and support us. Family is everything! We love Thanksgiving in our house. It's such a neat day to be with people you love and take time to remember to be grateful and thankful for the blessings in our lives. From a sensory perspective, we are overwhelmingly thankful for my daughters "team" and all they have done for her and for our family. I love Thanksgiving. Before we had kids we used to enjoy dining out with family, but now I make a big feast and we eat in & relax, and work-off the turkey and pie at a playground! Interesting info, we get together with family. I let the kids help cook it keeps them calm. We sit down with some nice music and have dinner. Afterwards we each say something we are thankful for. Then we put up the Christmas tree. Happy Thanksgiving! Happy I found your company! I would love for my preschooler to help volunteer with me at a food pantry. I'm on the lookout for ways to incorporate "giving back" with my 3 year old. I'm thankful BECAUSE my son has autism!! :-) ...and I'm thankful for blogs like yours, that give away awesome stuff!!! I'm thankful for all the educational materials that have come out for children with autism so that they may be diagnosed sooner than later. I count my blessings every day and I enjoy teaching my son about holidays and what they mean...family and food! Our family tradition is to decorate for Christmas after thanksgiving! This is my favorite time of year. So much to be thankful for! ! I'm Thankful for my family and friends for their support and understanding through the Holidays. I'm also Thankful for the awesome online support that we have found to help us all embrace our son's autism.